Good news for My Nintendo members in North America with points to spare as the rewards selection has now been updated. Some of you have probably used most of your Gold Points on digital software on your Nintendo Switch but if you have some left over here’s what is available at the moment on the My Nintendo Store. Another exciting week of being allowed to purchase products I already own or are not interested in, at a discount no less. Feels good to pay for Nintendo’s products. 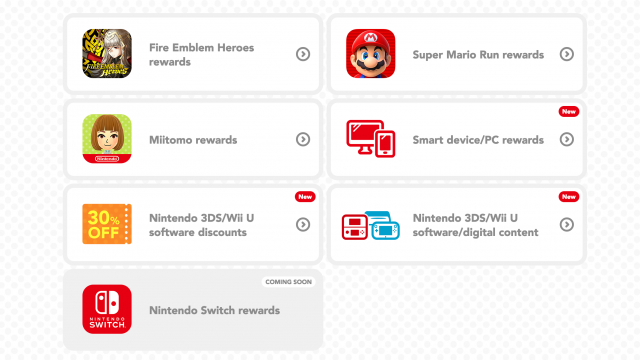 And what the hell happened to those “Switch Rewards” that were supposedly “coming soon”??? WOAH! Never noticed that, thanks for telling me! Spread the word! Ha ha, Nintendo, you can’t keep secrets for long! There’s no way they’d call it the Switch 2.